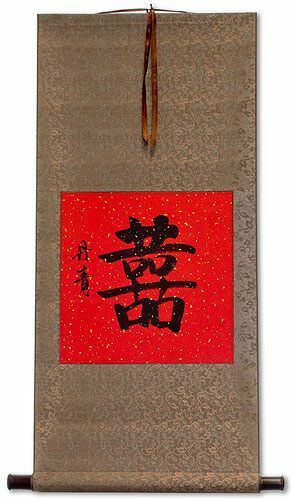 Artwork Panel: 30.2cm x 31.3cm ≈ 11¾" x 12¼"
Silk/Brocade: 39.1cm x 86.3cm ≈ 15¼" x 34"
This is a common gift for Chinese couples getting married or newly married couples, but it appropriate for anyone for whom you wish the greatest of happiness. 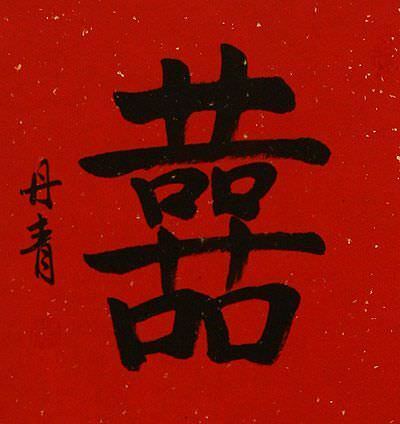 This is not really a character that is pronounced very often - it's almost exclusively used in written form. 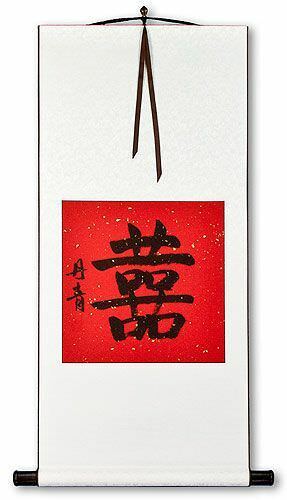 However, if pressed, most Chinese people will pronounce this "shuang xi" (double happy) although literally there are two "xi" characters combined in this calligraphy (but nobody will say "xi xi"). This piece is painted with special Chinese ink on rice paper mounted to a traditional silk scroll. 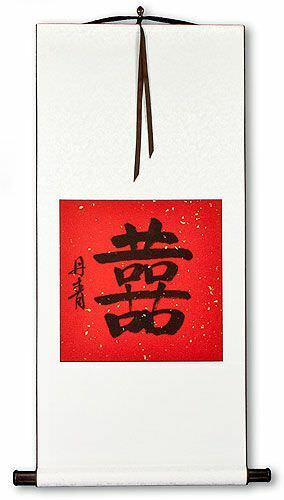 If you are looking for something very special, we also have investment-quality calligraphy available from a famous master-calligrapher in Beijing. Browse wedding dresses from TopWedding, one of the largest wholesalers and retailers for wedding dresses, prom dresses and bridesmaid gowns. Click here for more than 1000+ styles cheap wedding dresses: Artweddings.co.uk/bridesmaid-dresses-uk/. TopWedding: Every woman deserves a perfect wedding dress on her special day!! !